A member of the family had posted to Facebook a power point about Romania. History and Geography are my favorites so I watched the 60 sec. slide. As I watched I learned some interesting facts about the people, the castles, the terrain and so on. 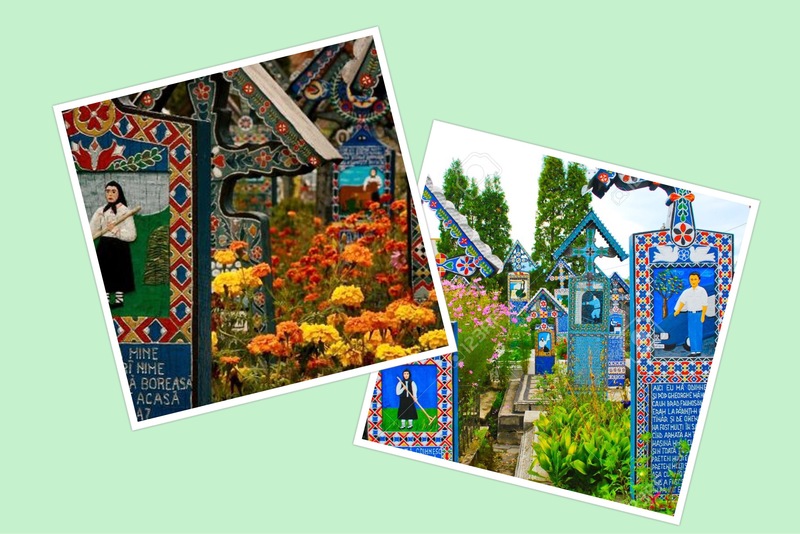 Then a slide appeared about the only Merry Cemetery in the world! What? A Merry cemetery? What is that all about? Well to the Google search I go…. 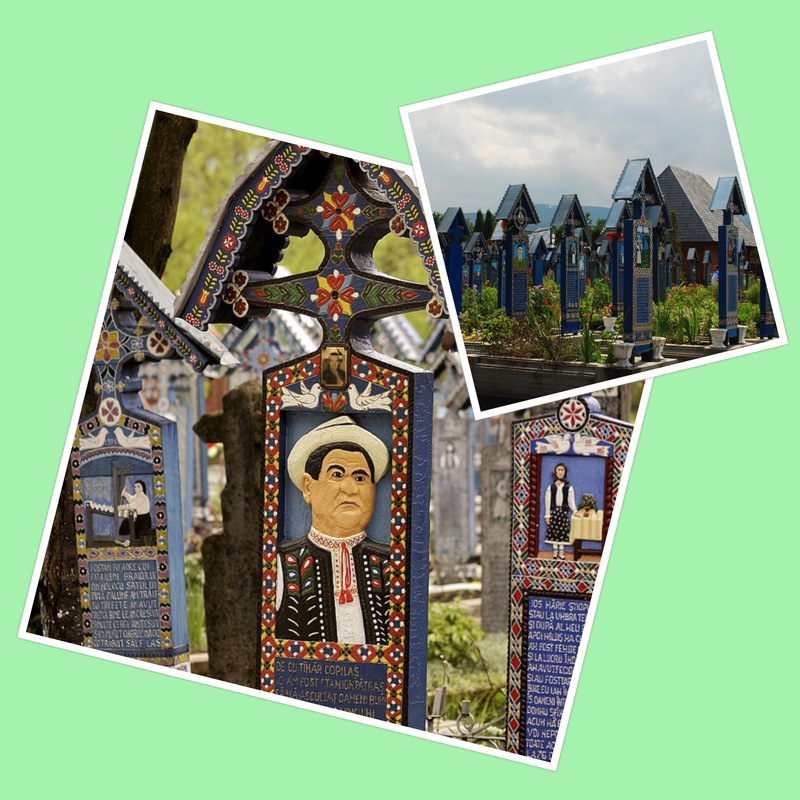 The Merry Cemetery is a very colorful and vibrant cemetery located behind the Church of Assumption in the small village of Sapanta in Romania. It began in 1935 with one man by the name of Stan Loan Patras. Mr. Patras would carve these beautiful oak crosses and then paint onto the cross something about the life of that person. Your loved one will be visited daily by many, many people from all over the world. 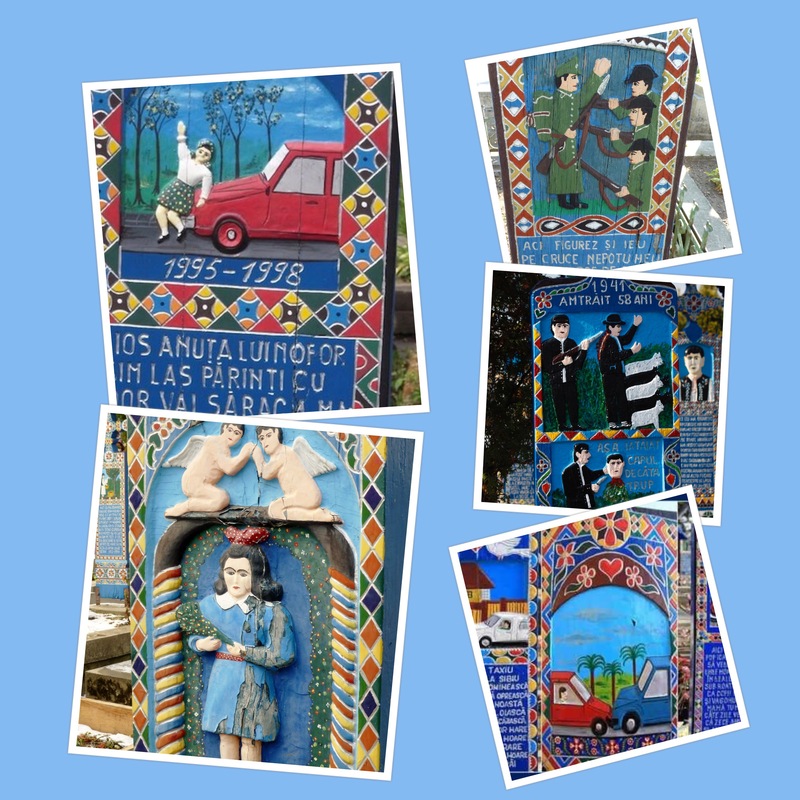 The pictures displayed on the headstones make it possible for you to understand no matter what language you speak.